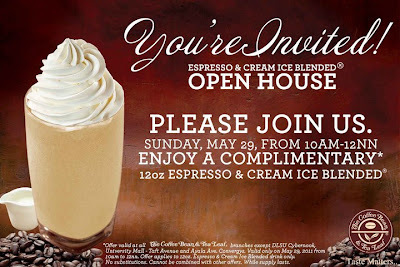 #TeamAguas: Espresso and Cream Ice Blended OPEN HOUSE!!!! Espresso and Cream Ice Blended OPEN HOUSE!!!! Good morning everyone!The Coffee Bean and Tea Leaf have something to offer this Sunday at their stores except at DLSU Cybernook, University Mall - Taft Avenue, and Ayala Avenue Convergys. They got something exciting happening this weekend and they are sure you're all gonna love it - It's Open House time once again! 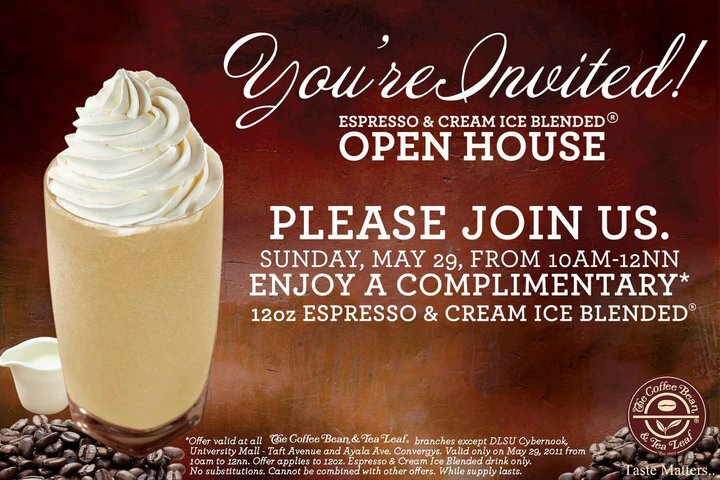 :) Join us for our Espresso & Cream Ice Blended Open House on Sunday, May 29, 10am-12nn and enjoy a complimentary 12oz. beverage! RSVP at our events page (http://www.facebook.com/event.php?eid=111770532243190) and spread the word to all your friends! Have a great week ahead! Big Surprised at the Big Bang!!!! I lilly lilly love Ryan Bang!!! Festive 15 at The Body Shop!! Golden ABC celebrates 25 years!!! MYMP - THE UNRELEASED ACOUSTIC COLLECTION"
Château de sable " Spring Summer collection"
1st Candy Mag Fashion Show! !